A: Yes, we have general camping & reserved camping starting the first week in February. Call office for pre-purchasing. Q: How big are the camping spots? A: Camping spots are 16'x30' (One spot per camper due to limited parking) unless camper is oversized. Q: What about general camping? A: General camping is located on the right side of the lot off Williams Grove Road & outside turns 3 (Beer Hill) off speedway Drive. it is non-serviced camping. 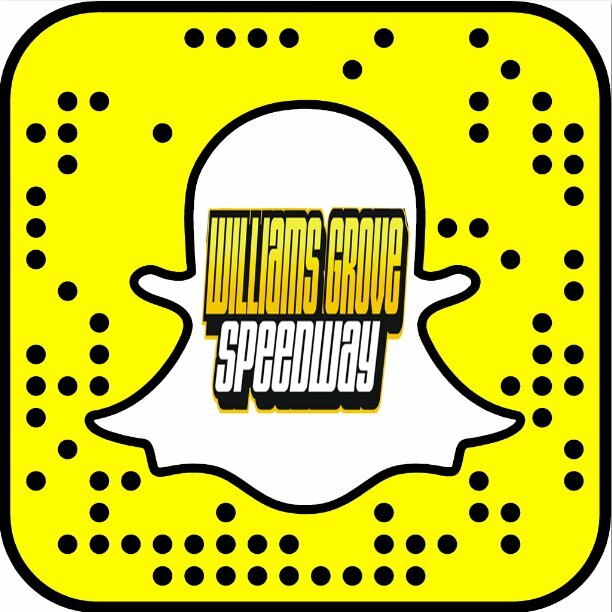 Camping is also located at times on the Williams Grove Steam Engine grounds located off of Williams Grove; Access to the speedway through the old amusement park by foot. Security can tell you where you can camp and park. Q: What is reserved camping? Q: When are we allowed to come to the track to camp? A: For World of Outlaw shows, campground opens at 9AM one day prior to race (May - Thursday, July; Thursday, October - Thursday) Campers that arrive before back campground opens may use the front parking lot overnight until campground opens. Q: When do gates close after the race weekend? Q: We are coming to race. Can we stay in our hauler in the pit area? Q: How do Campers park on Beer Hill? Q: What must a vehicle have to be allowed on the property? A: All vehicles must be registered and insured. Golf Carts must have insurance. No ATV's allowed. Q: If I have an emergency while camping, who should I call? Q: Should I clean up my camp site when I leave? A: Yes, please clean up and put all garbage in or near trash barrels. 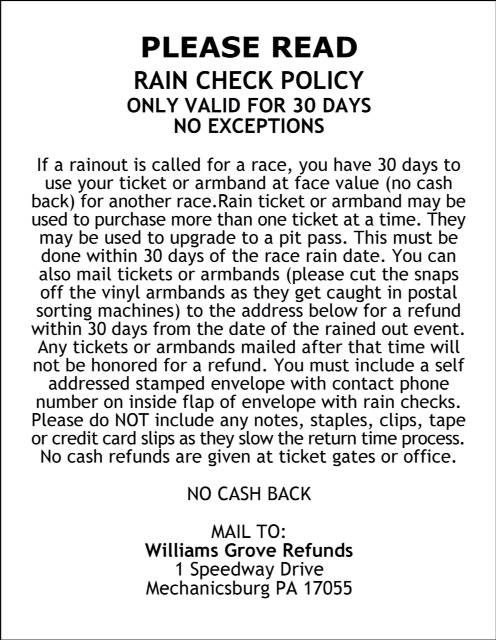 If you have any issues, please call the track office at 717.697.5000 or text 717.999.4404 during race hours.